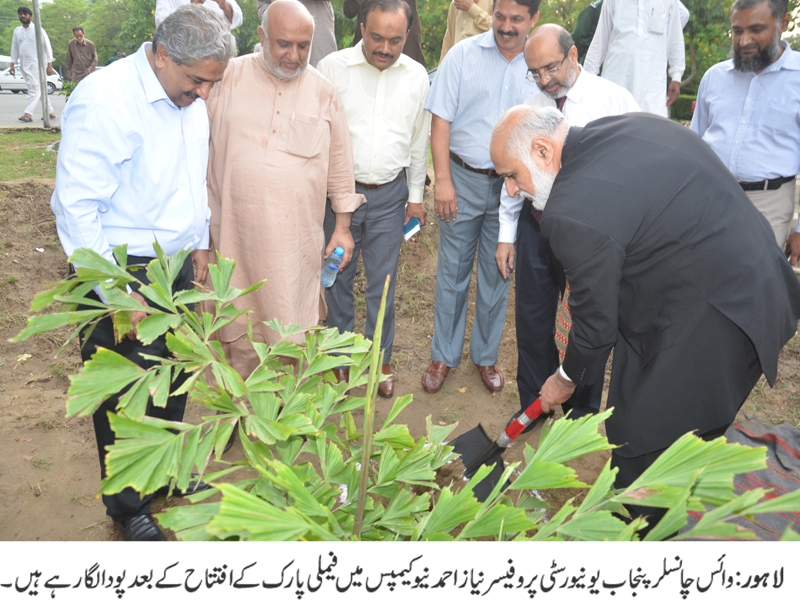 LAHORE: (Saturday, July 14, 2018): Punjab University Vice Chancellor Prof Niaz Ahmed has inaugurated Family Park for PU employees at New Campus and launched tree plantation drive by planting trees. Registrar Dr Muhammad Khalid Khan, Resident Officer II Malik Muhammad Zaheer, Director Students Affairs Chaudhry Iftikhat Ahmed and other officials were present on the occasion. The vice chancellor said that we need to protect our environment for our own survival. He said trees were source of healthy environment and healthy life. 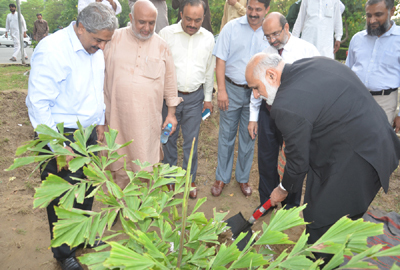 He urged the nation to play their role in saving environment and plant maximum trees in the country. He said that the family park has been inaugurated to provide healthy lifestyle on campus.